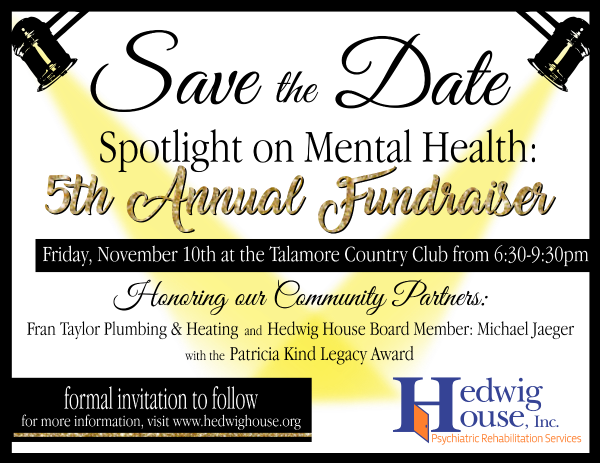 In 2018, we held our 6th Annual Fundraiser "Spotlight on Mental Health" on Friday, October 26th at the Talamore Country Club to raise money for our programs and services. 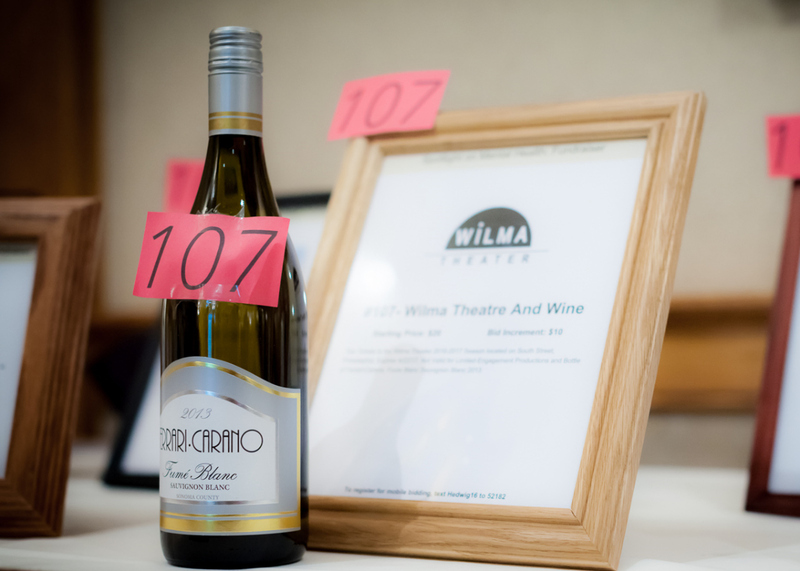 The event was a lovely evening including a cocktail hour, full dinner, short program/award and a silent and live auction! 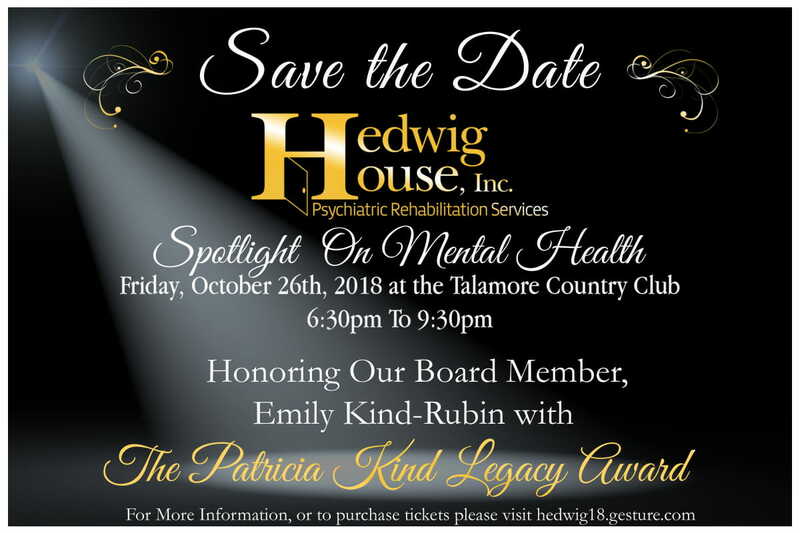 During the event, Hedwig House honored and recognized Emily Kind-Rubin with the Patricia Kind Legacy Award. 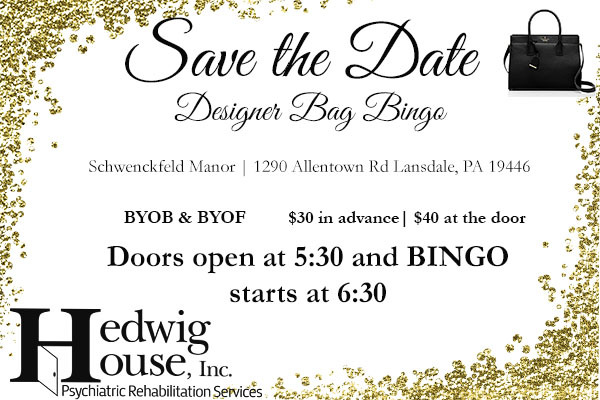 This fun summer event is the perfect way to have a great girls night out!